In 1912, the Progressive agenda had a few very important victories. Two Amendments to the Constitution were ratified – the federal income tax and the popular election of Senators. Both Amendments would ultimately expand the power and reach of the federal government and reduce the checks and balances embodied in the Constitution and Bill of Rights. As described in Part I, Woodrow Wilson, as a college professor and President of Princeton University, strongly believed in the superiority of elites, especially those trained in Ivy League Schools, to set policy and to rule. As President of the United States, Wilson’s policies did little to advance the Progressive agenda. However, ideas matter and the injection of the Progressive creed into public and political discourse paved the way to forever change political thought, culture, and our political institutions – until now. The gigantic policy and governmental change occurred during the Great Depression when a third of the workforce was unemployed, many banks were closed and the industrial output was almost non-existent. Thus, in 1933, when faced with mass unemployment, President Franklin Delano Roosevelt (FDR) and Congress expanded the power of government with the purpose to restore the American economy. FDR embraced the Progressive philosophy and developed what he branded as the New Deal. To get America back to work FDR and Congress passed the Emergency Banking Act, Federal Emergency Relief Administration, Civil Works Administration, the Securities Act of 1933, the National Recovery Administration, the Agriculture Adjustment Act and more programs to assist Americans to have employment, food and shelter. A notable program developed by government elites was the National Recovery Act (NRA) which determined fair competition, authorized labor unions, working conditions, hours worked, and a minimum wage for specified industries. Also, the Agricultural Adjustment Act (AAA) set production quotas, subsidies and prices. These and many more programs were very popular with the public and Roosevelt was re-elected President in a landslide in 1936. However, the Supreme Court, vested with the power to declare laws unconstitutional, ruled multiple times against FDR’s programs. The NRA and AAA were declared unconstitutional. 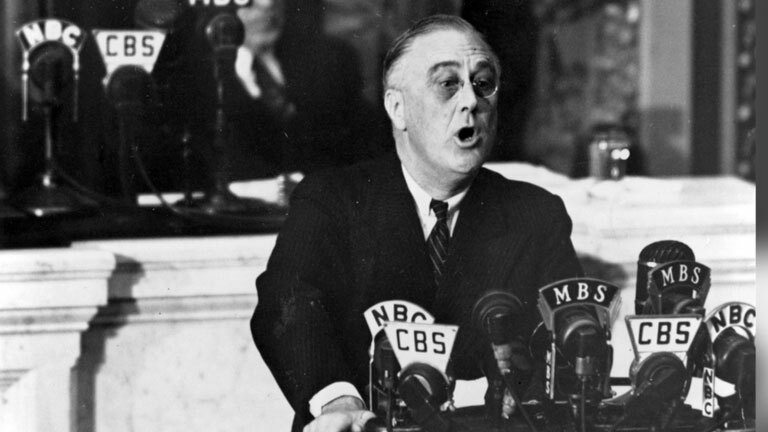 With enormous public support for political intervention, FDR retaliated and threatened to enlarge the number of justices of the Supreme Court. The Judicial Procedures Reform Bill of 1937 was commonly referred to as “packing the court,” and directly intended to stop the Court from nullifying the Progressives’ New Deal programs. The Parrish decision reveals the enormous change in America’s system of governance, our Constitution, and federal power. Many law review articles have been written, which are too expansive and complex to review for this article. Briefly, in 1936, the Supreme Court in Morehead v. New York ex rel. Tipaldo, declared the freedom to contract between employer and employee could not be controlled by state legislation. Citing liberty of contract and the Fifth and Fourteenth Amendments, Justice Roberts and four more Justices upheld ‘free market’ theories emanating from English and American philosophies and previous Supreme Court decisions. A few months later in Parrish, Roberts joined Louis Brandeis, Benjamin Cardozo, Harlan Stone and Chief Justice Charles Hughes to declare changing conditions – Parrish was a woman -- and the Great Depression allowed for states to promulgate redistributive and regulatory legislation. Parrish was a major victory for the Progressives. John Dewey and Woodrow Wilson thought our Constitution was archaic and an anachronism. The new majority of the Court accepted the living constitution philosophy or as Wilson stated, “Darwinism.” From Parrish forward, the court upheld all of FDR’s programs. Finally, to put this change in philosophy in perspective, Parrish legalized the government setting a minimum wage. Today, minimum wage laws require $15 an hour in Seattle and a few more cities. There is strong support for a federal $15 minimum wage. FDR’s court packing legislation was very contentious, receiving enormous criticism from constitutional scholars and media. Ultimately, Congress defeated FDR’s court packing scheme. … the state has the responsibility for creating institutions under which individuals can effectively realize the potentialities that are theirs. All these programs exist today, and have greatly expanded. All have enormous government bureaucracies. Thus, all have big, entrenched, and dependent interest groups with enormous political power. In addition to the bureaucrats and recipients of government transfer payments, there are grants and contracts with academia, unions and corporate America. In other words, the political elites have transformed our government, and all the institutions which government subsidizes have become continuous and ardent cheerleaders for big Progressive government. Of course, the mainstream media, as products of government schools, are complicit co-conspirators. Recently, the economic disparity of the urban-rural divide has garnered substantial attention, especially as it relates to Internet and technological expansion. Rural economies suffer from a lack of Internet connectivity relative to urban areas, with rural adults being 10 percent less likely to have broadband or smartphones than urban adults.